Our eaves trough division at Charleswood Roofing specializes in 5″ and 6″ continuous aluminum eaves trough available in a full range of colours. The eaves trough plays an important role in protecting the exterior and foundation of your home. If you are experiencing leaking/overflowing eaves or drainage issues, we would be happy to assist in finding a solution to your problem. 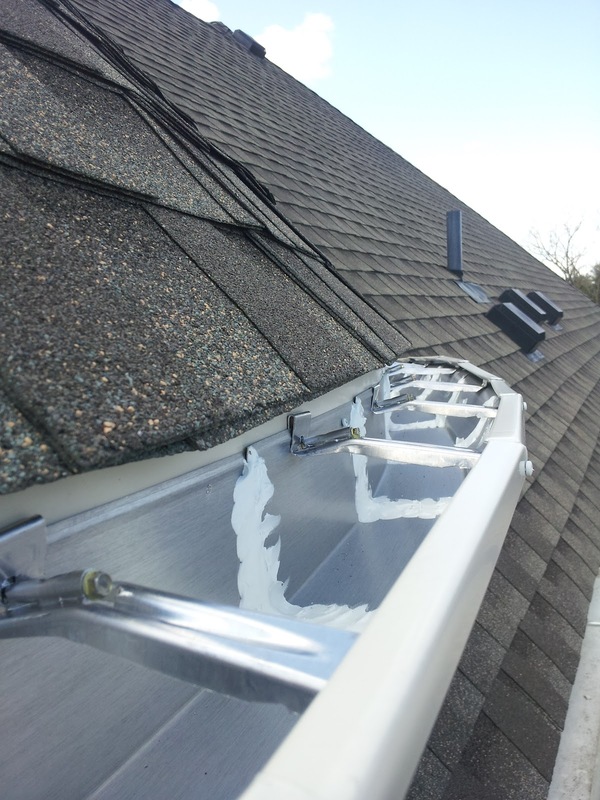 Consider installing your new eaves trough with a Metal Gutter Guard for added protection. This product prevents debris from clogging the eaves, which may lead to over flowing water. Gutter Guard also adds structural integrity to your eaves trough, this is important when faced with heavy snow loads and ice build up. If your eaves are simply old and bent out of shape or if you are in need of upgrades and new install – Call Charleswood Roofing (204) 505-3051 to schedule an appointment or click here for a free estimate!